Paprika is an Indian Takeaway based on 66 High Road in Romford. We serve a wide range of delicious Indian food and offer online ordering. Paprika Indian Takeaway would like to welcome you to its NEW website. Paprika Indian Takeaway is based at 66 High Road in Romford. Paprika Indian Takeaway specialises in serving organic Indian cuisine, you know that all meals are high quality. 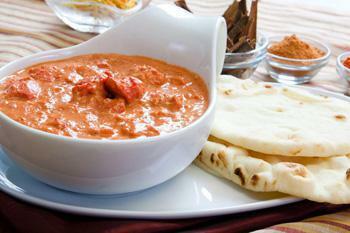 You can enjoy our great tasting Indian food at home. To make the at home experience even easier, Paprika Indian Takeaway is pleased to announce a convenient, new way to order your Takeaway Online. Please visit our Takeaway Menu to start creating your own unique order. We are now excited to offer not only Takeaway from our Romford restaurant, but also a FREE Home Delivery service, this is available for all orders over £10. We can offer delivery to the following areas: Romford, Chadwell Heath, Little Heath, Goodmayes, Seven Kings, Newbury Park and surrounding areas. Miniumum order value of £20. Can only be used on www.paprikaindiantakeaway.co.uk. Cannot be used in conjunction with any other offer. Here at Paprika an Indian Takeaway in Romford, we have a wide range of menu options. Serving delicious Indian food, we are sure we have something for you to enjoy. Free Delivery over £10, No Delivery available under £10. Delivery only available to postcodes within 3 miles. Great place to order, the quality and choices are fantastic.